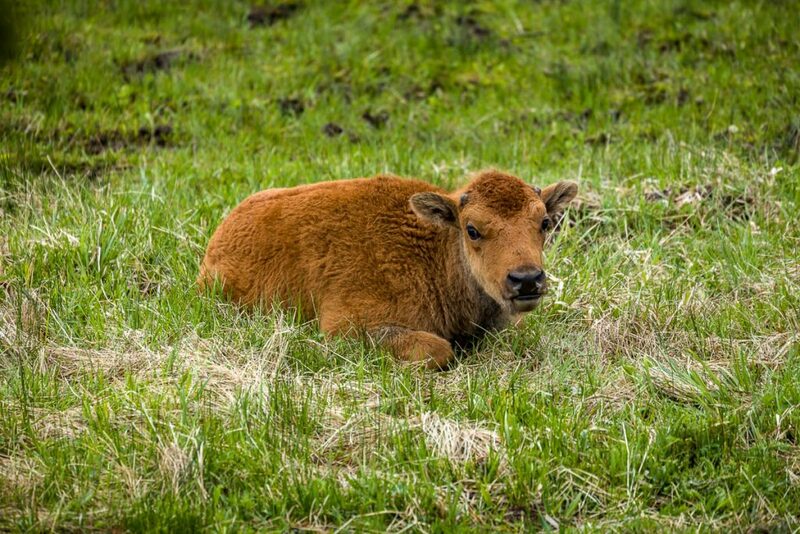 Yellowstone National Park is famous for many things among which is the wildlife. It is quite common to be driving on one of the park roads and all of a sudden find the road completely block with cars and people standing around looking at a bear or a wolf. 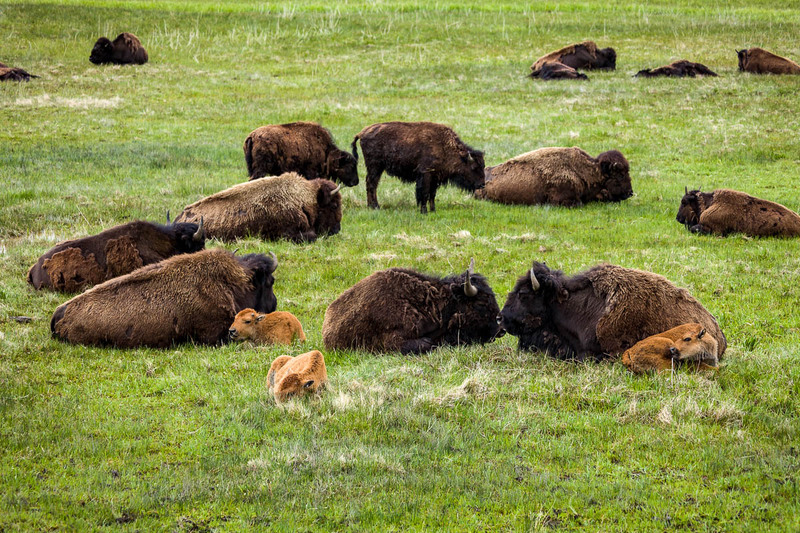 One of the largest attractions are the herds of buffalo. 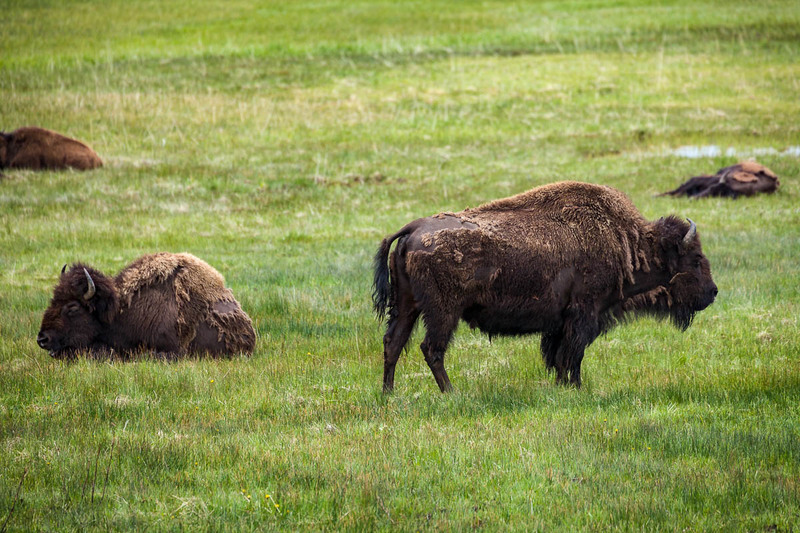 On our last trip to Yellowstone, Barbara wrote a story about our encounter with a herd of buffalo. I hope you enjoy it and heed the warning. Lest you think buffalo are a joke, however, let me relate our encounter yesterday. 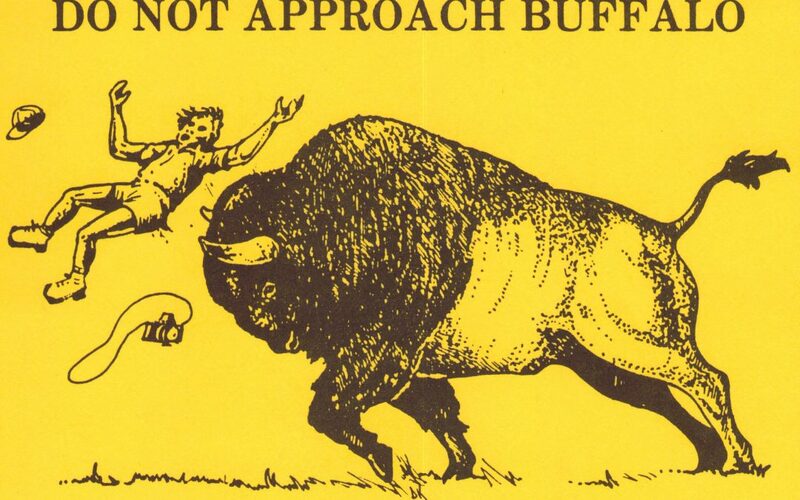 We turned off into the entrance to Norris Campground when I noticed what looked like a large golden retriever attacking a group of buffalo just at the side of the road. It was jumping around and stirring up the placid looking animals. Well, as we got closer, I realized that this was a Buffalette (I have no idea of the proper term for a baby buffalo–calf, maybe?) 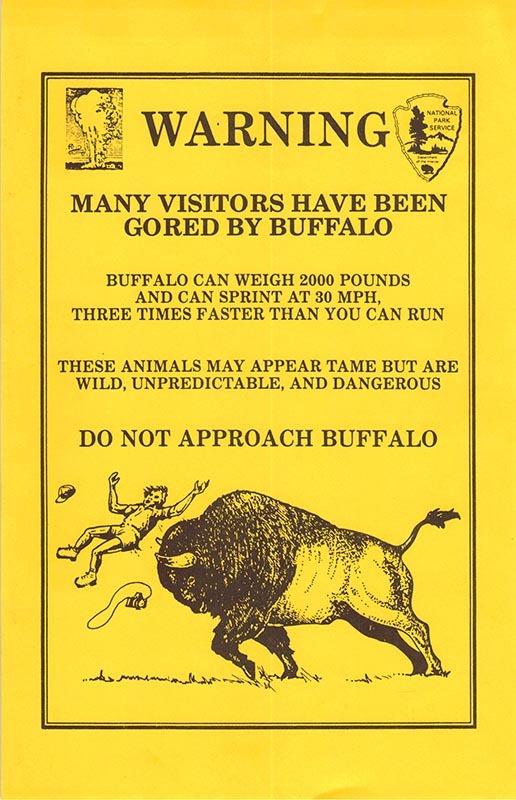 Anyway, there were probably at least 20 buffalo, with a number of buff colored Buffalettes and some intermediate sized adolescents. The buffalettes look quite a lot like large javelina, by the way. We had to stop the car as they were cavorting around and ended up in the road. Suddenly, there was quite a ruckus and the pounding of hooves, as a large number of buffalo came charging, fast, real fast, down the street and toward the car. They veered off to either side just as they reached the car and went charging down the road, big giant ones, the babies and the adolescents. They moved rapidly. I no longer doubt that these lumbering beasts can run 30 mph. They were truly frightening. It all happened very fast. It wasn’t until after the incident that we realized what a photo op we missed. To find your way to Yellowstone, go to the Jackson to Gardiner Road Trip Guide.